The seizure of a Malheur National Wildlife Refuge building in southeastern Oregon by armed and self-styled “constitutionalists” was disturbing. To many it is viewed as a dangerous escalation in a long, admittedly heated and passionate but rarely violent, discussion of federal or public land management in the western United States. 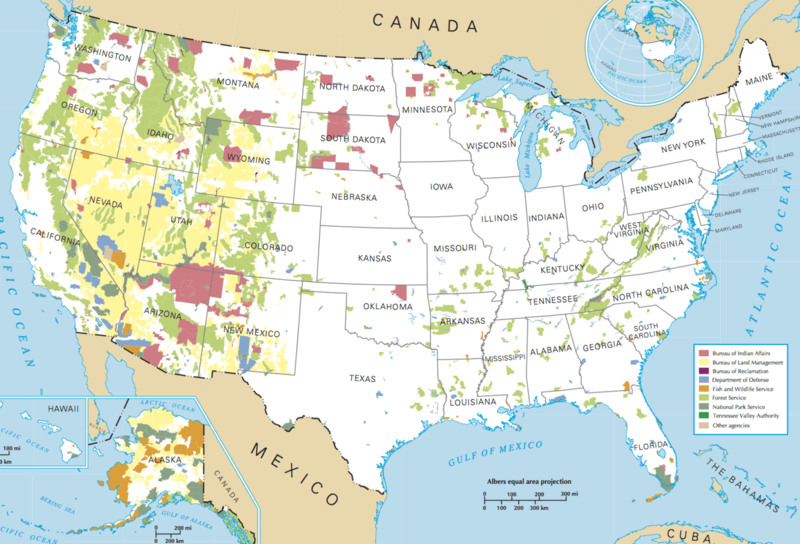 It has also brought to the fore many questions from those not familiar with western land issues, the history of federal land or public land management policies. The event has some asking who the Bureau of Land Management (BLM) is and why they manage so much land. The history of U.S. federal land policy helps explain why so much of the West is public land – that is, land managed by the federal government and its various bureaus. History also shows why conflicts over land rights are flaring up now and why they’re difficult to resolve. U.S. land policy predates the country itself, as both the British and the colonists regulated the cutting of forests to preserve a supply of timber for building naval vessels. After the Revolutionary War, the new country quickly sought both to acquire more land (in what is called the Acquisition phase) and to ensure private sector ownership (the Disposal phase). Acquisition was accomplished by war or purchase; disposal was done to raise cash and promote new settlement. The native inhabitants of these lands were removed, usually by force. By the 1880s, there were growing concerns over deforestation. This led Congress to give the President the power to create forest reserves. Later renamed national forests, they were placed under the administration of the US Forest Service (USFS), which was created in 1905. Congress later took away that power but did create eastern national forests though land purchases under the Weeks Act. The charismatic Gifford Pinchot, first Chief of USFS, helped make the bureau a professional land management agency. 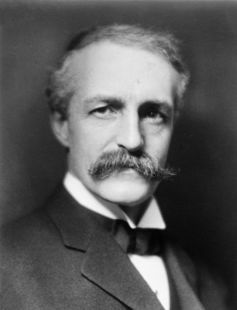 Pinchot and others made it clear that the forests were to be managed for the production of resources to be used by citizens. Thus the Retention policy evolved into an era of federal land management. A utilitarian philosophy took hold: forests would be managed for the “greatest good for the greatest number” in the long run. President Theodore Roosevelt used his power to create early national wildlife refuges, including Malheur, which were separate from national forests; other presidents would follow his lead, as would Congress. Early reserves and those established later would be managed by the U.S. Fish and Wildlife Service, created in 1940 after many earlier configurations. These lands were set aside specifically for preservation of land for wildlife and habitat. That in order to promote the highest use of the public lands pending its final disposal, the Secretary of the Interior is authorized, in his discretion, by order to establish grazing districts. Before the Taylor Grazing Act was created, federal officials, including Secretary of Interior Ray Lyman Wilbur and President Hoover, offered to transfer the pre-BLM public lands (the public domain lands) to the states to manage, minus the sub-surface mineral estate. The states declined citing the poor condition of the surface estate. But the word “disposal” led some to conclude that eventually these lands would be transferred to the states to manage or perhaps sold. 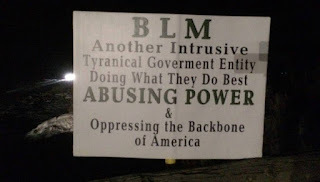 BLM was closely watched through the 1960s and supervised in a sense by western congressmen, leading contemporary scholars such as Phillip O. Foss to refer to this as a “private government,” or that the agency as “captured” by the interests it was supposed to regulate. To put this differently, the agency basically conformed to the desires of the congressmen and their rancher and mining constituencies. The BLM was often referred to as the “Bureau of Livestock and Mining,” as those were the primary uses and users of these lands. Often BLM employees came, and still come, from smaller western towns and ranch backgrounds and were primarily trained at western land grant universities, reinforcing the tradition of placing a priority on using federal lands for their natural resources. BLM lands are only in the West and BLM manages the most federal land, because this was the land not placed into the national forests and not set aside as national parks and monuments. Some in the West still believed that the BLM lands would be “disposed” of in some manner – that is, transferred from federal to state ownership or perhaps sold. All of this changed with the passage of the Federal Land Policy and Management Act of 1977 (FLPMA). This act superseded the Taylor Grazing Act and made it national policy that the BLM lands would be retained in federal ownership, thus making this an example of Retention policy. This retention, and new environmental laws and public interest in the BLM lands for recreation, wildlife, wilderness and so on, helped set off the Sagebrush Rebellion of the late 1970s. There had been previous protests dating back to creation of the forest reserves, but this rebellion is well remembered. The election of Ronald Reagan helped defuse the movement, as his Secretary James Watt pushed for the restoration of natural resource use and the weakening of environmental regulations. The BLM manages much of its land for the use of resources, as does the USFS. But these bureaus are considered multiple-use in that preservation is part of their activities. The National Park Service and US Fish and Wildlife Service have preservation as their sole mission. There has been an off-again on-again movement to transfer much of the federal lands apart from the national parks and so-called wilderness (a land designation made by Congress) to states to manage. But the cost of managing lands, including the huge ones caused by wildfire, and uncertainties over how the land could be used, continue to render this politically unpalatable to many.